Contentful provides content infrastructure for companies to power modern digital experiences across websites, apps, and devices. The platform is purpose-built to integrate with today's cloud-based software stack. You can learn more about the features here. 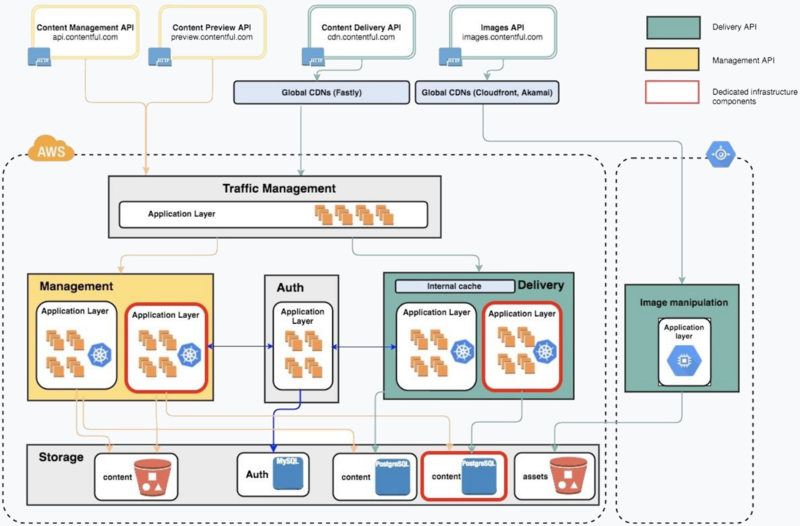 The delivery tier of this platform is deployed across multiple AWS regions, using an active/active setup to provide highly-available content for its customer base of global brands and enterprises. Contentful also offers a number of integrations that help increase the productivity of developers using both platforms. Development teams can connect directly to AWS services from within the Contentful web app, using a library of built-in webhook templates that include S3, SQS, and Lambda. You can read more about these features on our blog. From TELUS in telecommunications, to Xoom/PayPal in finance, companies from across all industries use Contentful to modernize how content flows.